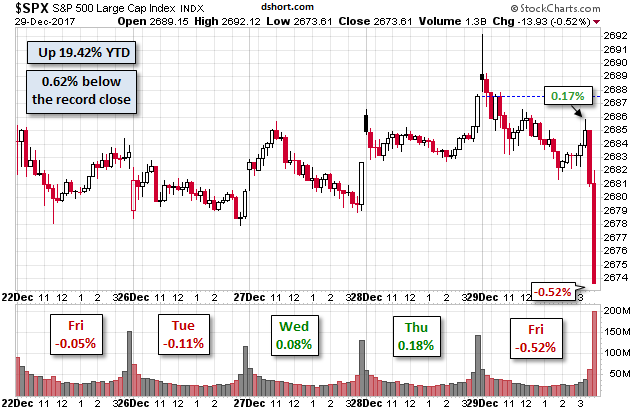 The market melt-up took a pause last week, as the S&P 500 fell by 0.36 percent to 2,673.61. 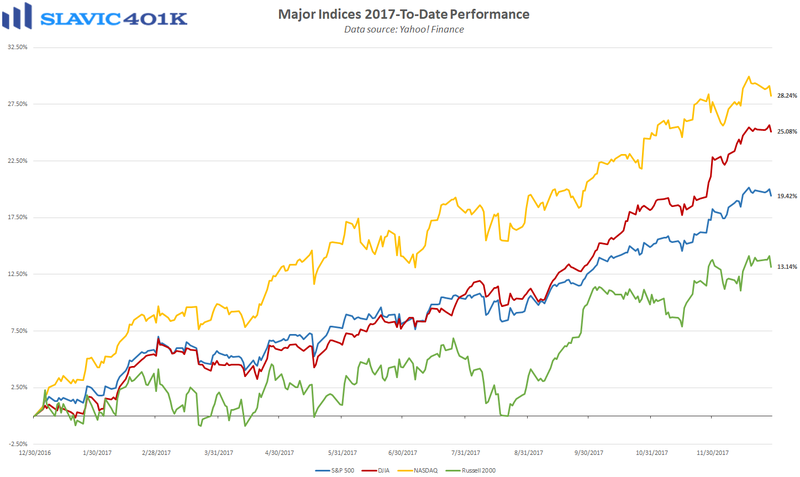 Although a disappointing way to end 2017, the benchmark index still managed to close at a new all-time high 62 times last year. 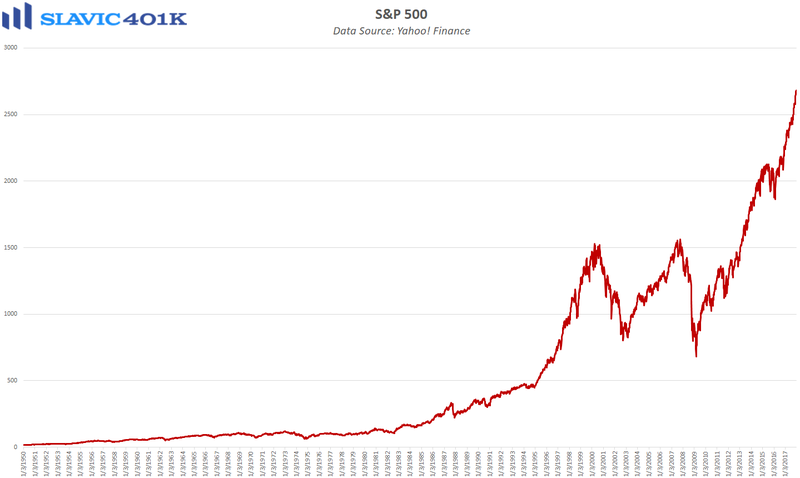 Further, the S&P 500 finished 2017 with an outstanding 19.42 percent year-to-date gain, the best annual increase since 2013. 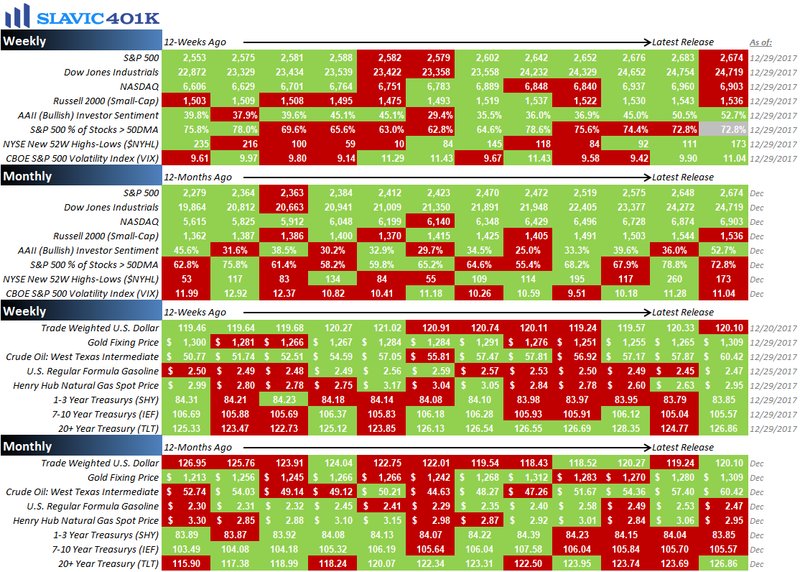 As for performance during December, the S&P 500 experienced a few scares (spikes in volatility) but still posted a solid 0.98 percent gain, the 9th monthly rise in a row. Participants in tax-advantaged 401(k) plans fared even better in December, according to new data from the Employee Benefit Research Institute (EBRI). For example, the average 401(k) account balance for younger (25-34), less tenured (1-4 years) workers rose by 2.2 percent last month, while older workers (55-64) with more than 20 years of tenure saw their 401(k) balances rise by an average of 1.1 percent. Even more impressive is that since the end of 2015, the average 401(k) account balance for younger, less-tenured workers has surged by 119 percent, while the S&P 500 has gained just 30.8 percent (through the end of December 2017). Older, more-tenured workers saw their 401(k) balances rise by an average of “only” 31 percent during this same period, not surprising since these individuals tend to have much larger accounts that are less sensitive to both contribution flows and market fluctuations. More importantly, these substantial gains should provide further evidence of how effective consistent participation in a tax-advantaged savings vehicle can be when trying to amass a significant retirement nest egg. Additional assistance is available through the use of dollar-cost averaging and regularly consulting with a professional financial advisor. As always, we are here to help with any questions you may have. 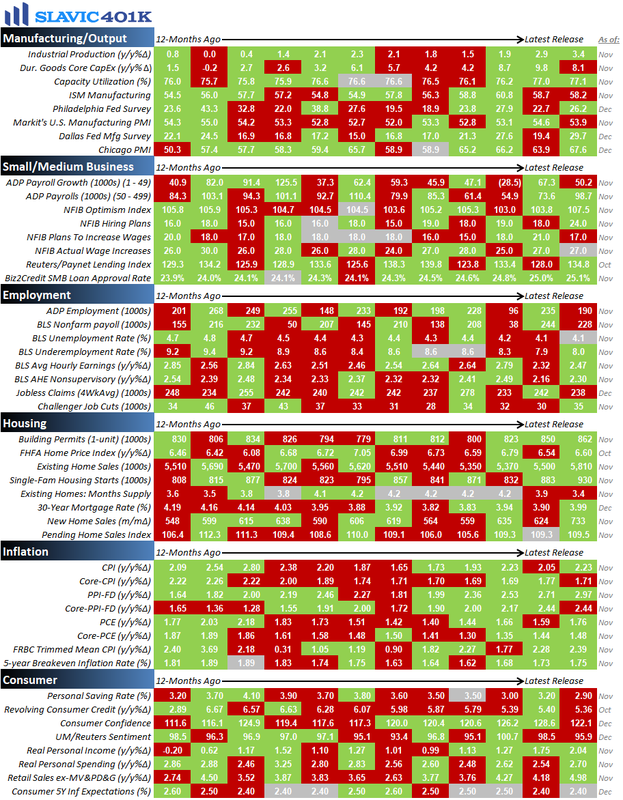 To recap a few of the things we learned about the economy last (holiday-shortened) week, the positives included that manufacturing activity in the southern region of the country improved, and first-time claims for unemployment benefits held near a multi-decade low. As for the negatives, the nation’s trade deficit widened, housing inflation remained elevated, pending home sales rose by less than forecast, and consumer confidence fell. This holiday-shortened week the pace of economic data picks up slightly with several important reports on manufacturing, construction, monetary policy, and employment scheduled to be released, including the potentially market-moving December job report from the Bureau of Labor Statistics (BLS) due out on Friday.